All the maps you need to discover the world on foot, cycling, horse riding, or by car, motorbike or quad bike. Comprehensive and highly accurate coverage of the Blue Planet. The download tool lets you get the most out of your maps and routes on the ground without any internet connection. Record your walks in real time on the ground, and create places with your own photos and commentary. Automatic activation of places and text to speech synthesis. There is an alarm when you stray from the route being followed. 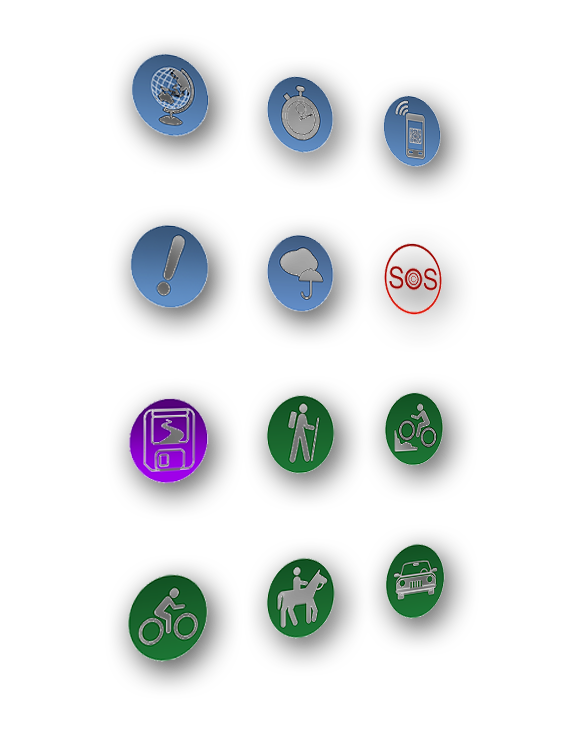 No more need to continuously check your smartphone, this alarm system will stop you getting lost or having to turn back on yourself. Route and GPS position visualisation. Display showing distance covered, time taken, average speed, GPS altitude, inclines (+/-), and many other useful indicators for walkers and mountain bikers. Indication of distance covered and remaining. Arrow display indicating the direction to be taken. Alarm when you stray from the route. Take advantage of IGN France topographical, tourist and cadastral maps. More than 60,000 km of Grande Randonnée (long-distance) and Petite Randonnée (short-distance) paths are shown. Thousands of ideas for walks in France for you to download to your mobile phone. The entire network of cycle route intersections in the Netherlands and all the country’s footpaths on Kadaster topographical maps. All IGN Spain maps (including the islands) on your smartphone and tablet. Discover the Pilgrim Route to Santiago de Compostela, explore Asturias and Catalonia, or follow in the footsteps of Don Quixote... Y viva España! Discover the latest IGN Belgium topographical maps and have all the country’s Grand Randonnée (Long-distance) footpaths and cycle route networks at your fingertips. 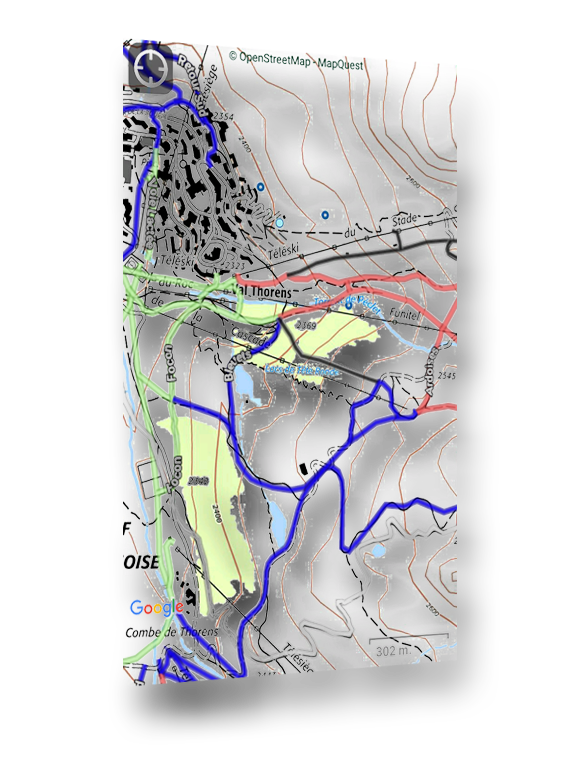 All Basemap.at topographical maps and hundreds of quality trails from Austria. Take yourself to new heights for thrills and adventure. All USGS topographical maps and hundreds of quality trails from the United States of America in your iOS or Android device. Take yourself to new heights for thrills and adventure. All Toporama topographical maps and hundreds of quality trails from Canada. Take yourself to new heights for thrills and adventure. Download OpenStreetMap maps for your walks in any part of the world.